This drawing, of a man contained within a circle and a square, is one of the most recognizable in the world. It seems to fascinate people and has a way of transcending time and space to connect with its viewers. It also is really easy to parody. The original document, pictured above and created by Leonardo Da Vinci, has two major components: the drawing itself, and two paragraphs of writing. Both deserve some attention, because while this image is rather commonplace in our culture, most people don’t realize how many layers there are. 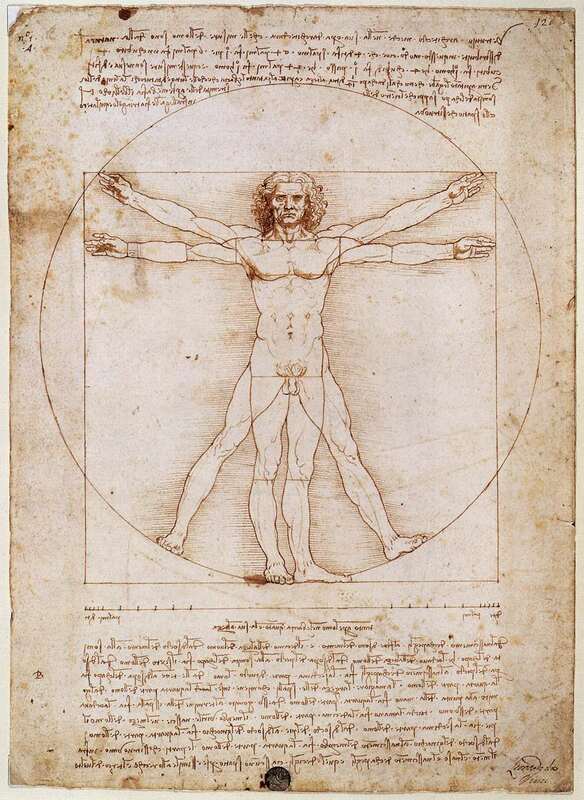 First off, why is the drawing even called the “Vitruvian Man”? Is Vitruvius a place or something? That was my first thought, but it turns out that Vitruvius was a man. Vesuvius = volcano, Vitruvius = man. Vitruvius was a roman architect whose ten-part treatise on architecture, De architecura, was the only document about architecture to survive from antiquity. This means we owe much of our knowledge of the theory behind Roman aqueducts, central heating, and water pumps to this book. It is also the source of the (possibly apocryphal) story of Archimedes, his discovery in a bathtub, and his shout of “Eureka!”. Vitruvius held that the three basic elements of good architectural design were strength, functionality, and beauty. These elements are so important that they remain mainstays of modern architectural theory. He was also especially interested in proportion. He believed that ‘beautiful’ proportions were those based on nature. And what more perfect example of nature was there than Man? 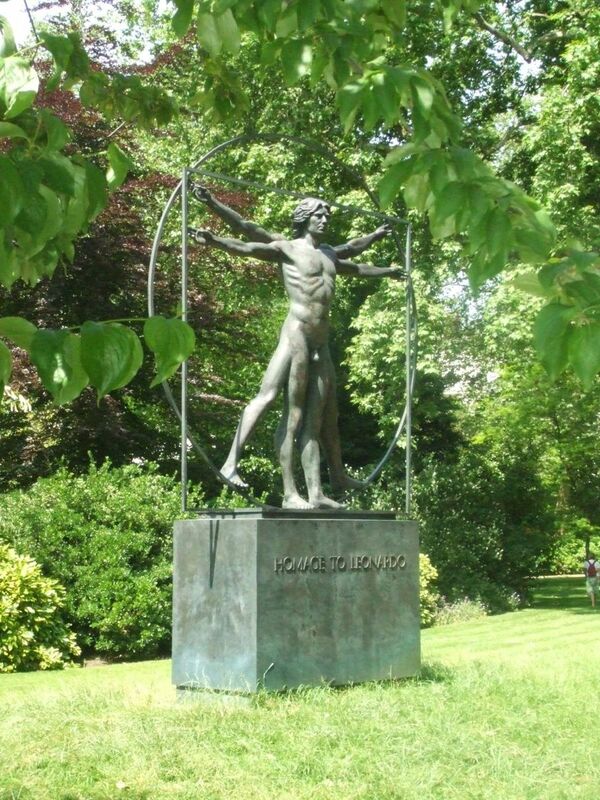 He believed that a perfect male body would fit the following conditions and that these proportions could be used to design perfect buildings. For if a man be placed flat on his back, with his hands and feet extended, and a pair of compasses centred at his navel, the fingers and toes of his two hands and feet will touch the circumference of a circle described therefrom. And just as the human body yields a circular outline, so too a square figure may be found from it. For if we measure the distance from the soles of the feet to the top of the head, and then apply that measure to the outstretched arms, the breadth will be found to be the same as the height, as in the case of plane surfaces which are perfectly square. And then his writings were lost for more than a thousand years. They were re-discovered in the 1400s in Italy and gained traction amongst Renaissance artists. 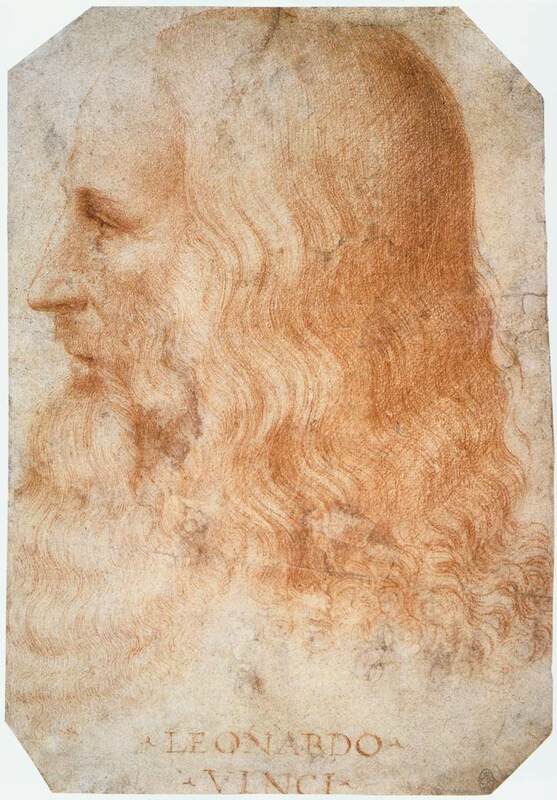 And which Renaissance artist should be more intrigued by the challenge of drawing Vitruvius’ man than Leonardo Da Vinci, the namesake of everyone’s second favourite Ninja Turtle? It’s ok Leonardo, you may be my second favourite Ninja Turtle, but you’ll always be my favourite Renaissance painter. Da Vinci realized that in order for Vitruvius’ description to work, the centre of the square needed to be lower than the navel. This lateral thinking separated Leonardo from other artists whose attempts to keep the same centre for both shapes made their men look strange. The drawing itself certainly draws a lot of attention, but few take the time to look at the writing. This is partially because it is in illegible script, and the script is triply illegible to me. First of all, I’m just bad at reading old, faded cursive script. Second, it’s in Italian and I don’t understand Italian. Third, and most interestingly in my opinion, it’s written in mirror writing. Why he did this is unknown, but it might have helped him avoid smudging as he wrote with his left hand. The content of the paragraphs describe all of the proportions present in the drawing. 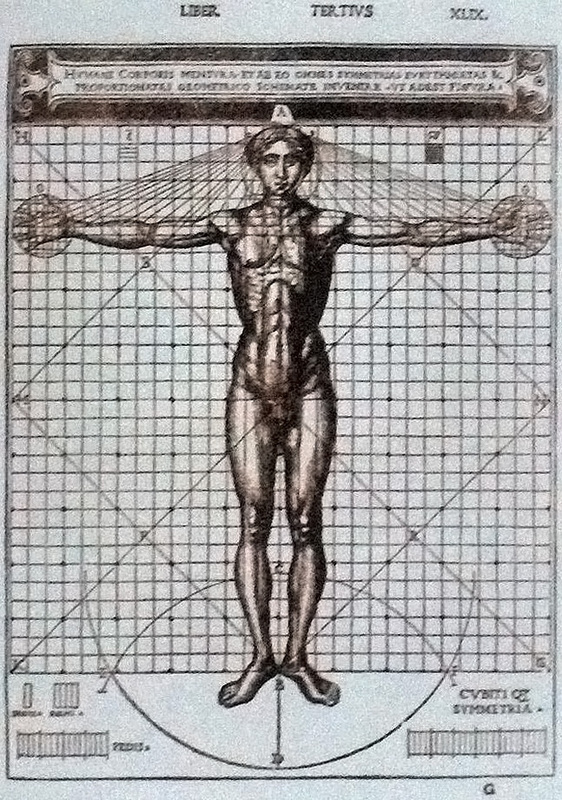 For Da Vinci (and Vitruvius), the distance between the tip of the fingers and the elbow is called one cubit and it is exactly six times the width of a palm and one quarter the height of a person. There are 15 such proportions below that I encourage you to try out. 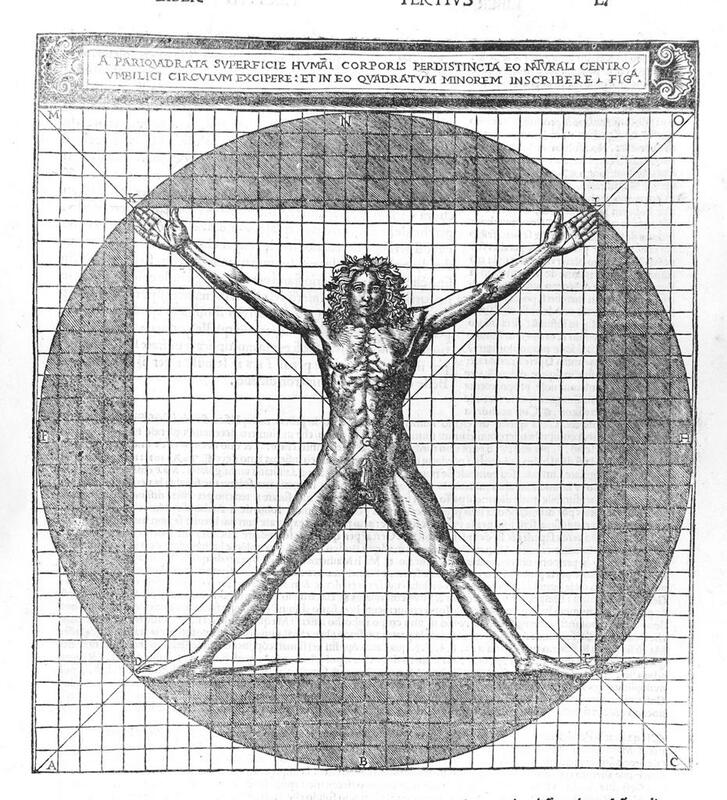 How do you measure up to the Vitruvian Man? 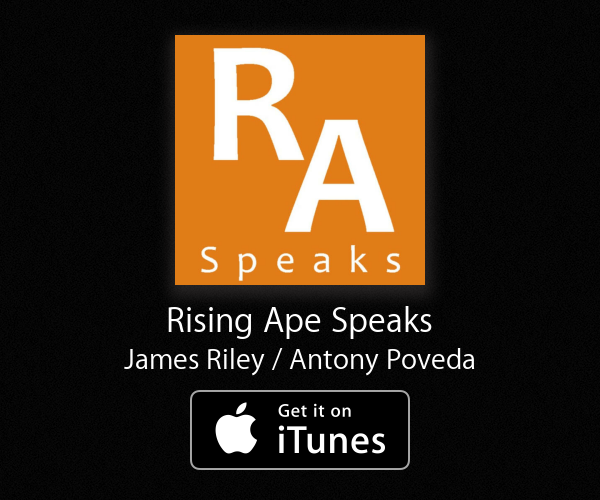 To learn more about this topic, watch this BBC documentary (part 1, part 2) on the subject that inspired this post.